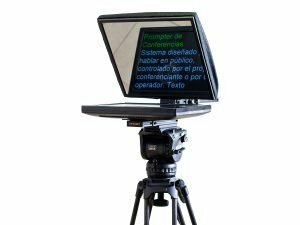 Teleprompter for Set, with metallic structure and bendable aluminium header with great robustness and lightness. Metallic structure and bendable aluminium header with great robustness and lightness. Monitor with mirroring included and high brightness. Inputs DVI, VGA, VBS PAL. 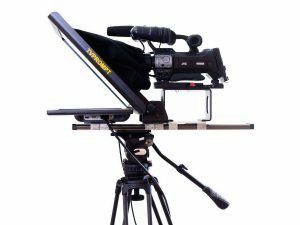 Monitor header and camera available for horizontal movement with attachment.